Save Time for Wine During Sequim Lavender Weekend! The biggest event on the Peninsula is just around the corner! 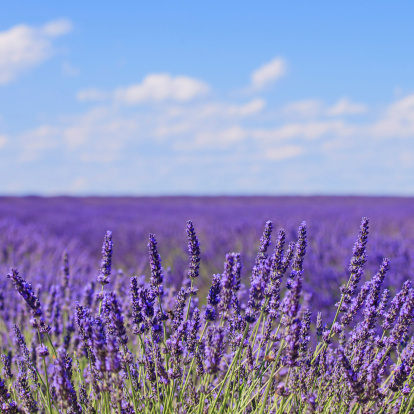 The annual Sequim Lavender Weekend is taking place July 19-21 this year and we want to make sure you save time for tasting some delicious Washington wines while you are visiting the Olympic Peninsula. Visit us at the Wine & Beer Garden at Lavender in the Park – a fair taking place during Sequim Lavender weekend, located inside Carrie Blake Park. The Park is located directly off the Washington Street exit from Highway 101 at the east end of town. For those with GPS, the address is 202 Blake Avenue, Sequim, WA 98382. Admission to Lavender in the Park and the concerts are free! A selection of two wines from each winery will be available for tasting. You will also be able to buy wine by the glass or purchase a bottle. Friday and Saturday 9 a.m. – 7 p.m. The eight wineries here on the Peninsula will be pouring new releases as part of the festivities. All the wineries will be open during normal tasting room hours. The closest to the Lavender Festival is Wind Rose Cellars tasting room, at 142 W. Washington St. They are open Friday & Saturday from 1 – 9 p.m. and Sunday from 1 – 4 p.m. If you are staying in Port Angeles, make sure to stop by Olympic Cellars in between Sequim and Port Angeles at 255410 Hwy 101 East, Port Angeles, open from daily from 11 a.m. to 6 p.m.
Also in Port Angeles is the Black Diamond Winery, at 2976 Black Diamond Rd. Enjoy their stunning vistas during a tasting from 12 – 5 p.m. Friday through Sunday. 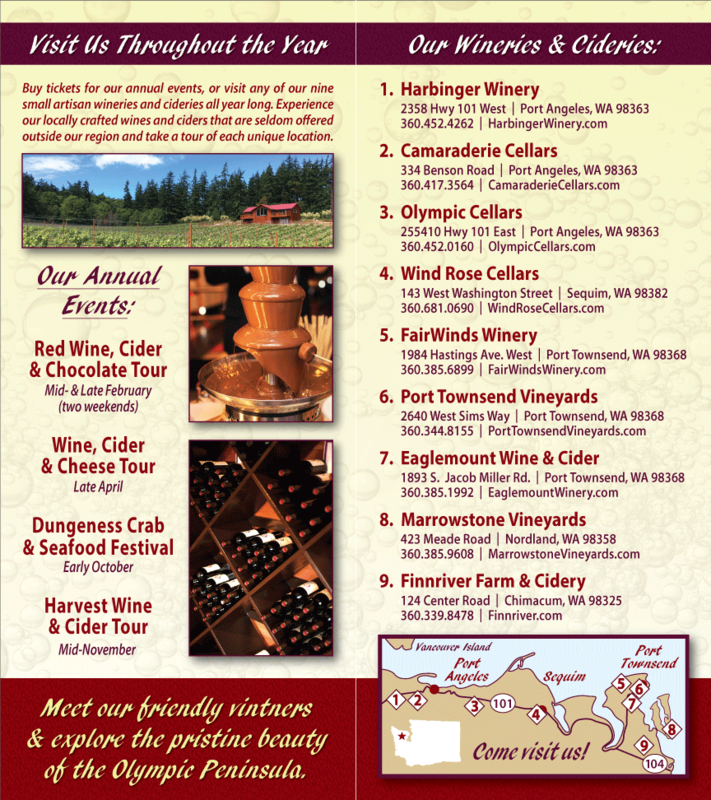 If you are visiting or staying in Port Townsend, check out Fair Winds Winery at 1984 Hastings Ave. West. The tasting room is open daily from 12 – 5 p.m.
See all of our member listings on our winery map page.